Each year US food consultancy, Mattson, identifies a number of macro trends. It’s goal is to think beyond “the next kale”. It aims to identify lifestyle trends that have the power to influence F&B purchases, behaviour, beliefs and, of course, innovation — the business it’s in. The reason to track trends is, ultimately, to translate them into viable business opportunities. Here are its fascinating 2018 picks, American in focus. Increasingly, marijuana is seen as a functional food, with purported health benefits far outnumbering what consumers can get from kale, turmeric or kombucha. 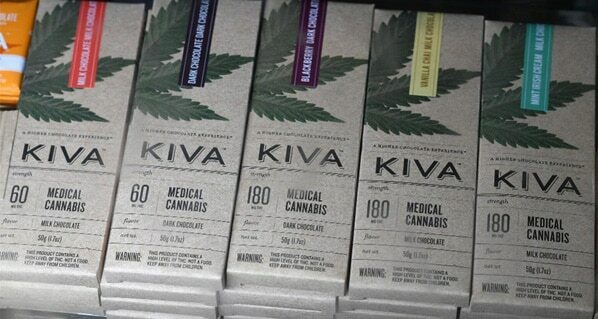 With a new generation growing up in states where cannabis is legal (currently about 20% of the US population), new products are rapidly entering the market. Yet, the biggest challenges in launching cannabis edibles remain monumental because cannabis is still illegal at the federal level. This makes scaling a cannabis-based food or beverage difficult, if not cost-prohibitive. The increase in cannabis consumption and acceptance leads to the second trend: flat to declining per-capita alcohol consumption. Many correlate this decline with consumers choosing cannabis over alcohol for the same occasions they might drink booze: relaxing at home, partying with friends, managing anxiety – you name it. Millennials are also driving this trend given their desire to be more present and mindful in their lives, both of which are difficult when you’re drunk. Also, drinking is expensive. With uncertainty about their future, Millennials are less willing and able to spend hard-earned dollars on alcohol. To make sure they’re prepared for a world where consumers legally swap back and forth between alcohol and cannabis, some alcoholic beverage companies are hedging their bets. Constellation Brands recently announced a $200 million investment in a marijuana grower, with plans to develop cannabis drinks. In Sonoma County, Rebel Coast Winery has launched its premium Sauvignon Blanc, calling it the “world’s first legal cannabis-infused, alcohol-removed wine”. And the former CMO of Anheuser-Busch InBev just anointed weed the new craft beer. He also co-founded a company that sells ready-to-smoke joints, which San Franciscans can order online for delivery in about an hour. For years, we’ve been hearing predictions around the ultimate demise of the centre-store, where staples like mac-and-cheese, cereal, and bars are on their way to extinction. While consumers are excited about the fresh perimeter, we think centre-store has staying power. With the convenience of shelf-stability, these categories have the benefit of being easy to buy in bulk, ship, and store indefinitely. Why wouldn’t a time-strapped household with two working parents and multiple kids trade an inconvenient trip to the store for keyboard convenience? From the manufacturer/marketer perspective, we have seen a shift in what our entrepreneurial clients are looking for. No longer are they coming to us with dreams of selling their product line at traditional retail. They want to launch and learn online. And some of them don’t even have a long-term desire to end up at the Safeways and Krogers of the world. These Millennial entrepreneurs are changing the food industry as much as Millennial consumers. There are unique challenges that come with e-commerce. We develop product lines specifically for this channel of distribution. Not every product works in e-comm in the traditional ways it used to work: from formulation to packaging to branding to marketing. Some things are obvious, like glass being less desirable for packaging than plastic. But some things are not. You simply have to box your product up and ship it via common carrier. That’s where the old tried and true has come around to being relevant again. Our home use testing (HUT) methodology is perfect for working out product, packaging, and online ordering bugs before launch. But the ultimate benefit of e-comm is that you don’t have to test your product ad nauseam. It’s easy and cheap to launch into the channel, even through behemoth Amazon. No slotting, no huge inventory investment, no buyer meetings. It’s the best way to get consumer insights: from real consumers paying real money for real products. Over the past decade, we’ve come to embrace the fact that the food we eat profoundly impacts our health, but this wasn’t always the case. Western medicine healthcare was reactive. Eastern medicine was holistic: taking into consideration the mind, body and spirit. Taking cues from the East, today’s personalised food and beverages allow consumers to follow unique diets more targeted than gluten-free, paleo, and vegan, each chosen for a consumer’s one-of-a-kind physiology. We know that consumers fundamentally want meal kits, but the original direct-to-consumer subscription model is not how they want to buy them. Too much commitment, too costly, too much solid waste and carbon footprint. Blue Apron and competitors Hello Fresh, Sun Basket, etc need to find a way to sell their awesome offerings where consumers already shop for food. Chef’d is already selling meal kits at retail. When Albertson’s bought Plated, it was obvious that’s what they had in mind. Sure enough, they’ve launched Plated kits into grocery. We suspect others will soon show up there. We also think there’s a huge opportunity for chain restaurants to reinvigorate mature brands (TGIFridays, Applebee’s, Olive Garden, etc) by creating their own meal kits, sold to lunch patrons for making later that night. Why casual dining brands haven’t done this is baffling. Fat is back. Protein is hot. Sugar is out. Yes, consumers want to eat healthy, but their definition of what this means continues to change. Mostly, consumers want to eat foods that contain what we call intrinsic nutrition: nutrients that are inherent in the ingredients. Intrinsic fibre comes from beans or whole grains, not supplementation. The next wave of innovation will be intrinsic healthy fats, protein, fibre and other essentials from nutrient-dense foods like soy, meat, cheese, eggs, fruits, vegetables, and dairy. We know this, because we’re working on these new products now, for launch in the near future. Another way to arrive at intrinsic nutrient benefits is fermentation. This is why we’re bullish on kombucha and other probiotic beverages, fermented vegetables such as pickles and kimchee, and fermented dairy like yogurt and kefir. The fermentation process creates healthy microbes that (someday) we’ll want to eat for mental health! From a proprietary online consumer study we conducted in July, 2017 we’ve learned a lot about these people. There is no official definition of Flexitarian, but we consider them to self-define in two ways. First, there are those actively trying to eat less beef, chicken, pork, and dairy. And second, there’s a group that already eats a “mostly vegetarian” diet, with the occasional consumption of beef, chicken, pork, and dairy. Together, these consumers make up about one-third of the population. It gets even more interesting when you ask all consumers—no matter what their current diet—what they plan to eat in the year ahead. A full 50% of the population claims they’ll be actively trying to eat more plant-based foods next year. The combination of these two stats indicates a growing opportunity to make plant-based eating easier for both the Flexitarian and the beef-eating carnivore. While many assume that vegetarians and vegans are the ones driving the growth in plant-based foods such as plant-based milks and meat, it’s simply not true. They only make up about 5 to 7% of the population and that number has remained fairly flat. It’s the Flexitarians that are driving growth, and will continue to do so in 2018 and beyond. Today’s burgeoning ready-to-cook and ready-to-eat fruit and vegetable products go way beyond baby carrots with ranch dressing. ReadyPac’s Ready Snax are pre-packed trios such as tortilla chips, natural cheese, and salsa, or fruit, cheddar, and flatbread. Mucci Farms sells snack-size Cutecumbers, and SunDrops grape tomatoes, packaged and marketed for kids. Consumers want to eat more fresh produce, but they’re not confident in their ability to cook with it. Solving this conundrum are products like ReadyPac’s line of single-serve Fresh Prep’d Soup Kits, which pair fresh produce, protein like chicken breast, and concentrated soup broth. Just add water, stir, and heat. And Sunset Grown’s You Make Me pasta kits pair fresh tomatoes with dry pasta, spices, and oil. We predict many more of these meal and snack kits coming in the near future. Licensing is one way to solve the dilemma of building new food brands because it lets companies gain access to a new brand without having to build it from scratch. Big Food has shown they’re unwilling to take on this daunting challenge, preferring instead to buy brands at ridiculous multiples. Why not lean on licensing to enjoy the best of both worlds? Oprah is not the only non-food brand entering the industry. Eating Well has partnered with Bellisio to launch a line of frozen foods, 20 years after the start of Eating Well magazine.